TheRudeDogShow | Rudy Reyes welcomes Jim Everett discussing Los Angeles Rams successes leading them into the playoffs in front of the Seattle Seahawks In the NFC West | Bob Rose discussing the New Orleans Saints winning ways behind the under rated defense, Drew Brees and Mark Ingram making a statement in the NFC South. 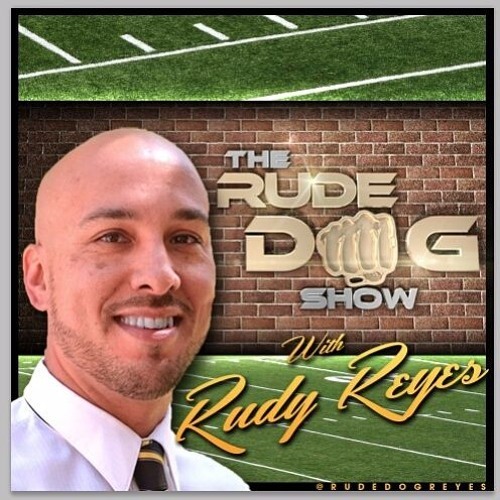 Users who like TheRudeDogShow | Rudy Reyes w Former Rams QB Jim Everett & Bob Rose the NFC West | South 111517. Users who reposted TheRudeDogShow | Rudy Reyes w Former Rams QB Jim Everett & Bob Rose the NFC West | South 111517. Playlists containing TheRudeDogShow | Rudy Reyes w Former Rams QB Jim Everett & Bob Rose the NFC West | South 111517. More tracks like TheRudeDogShow | Rudy Reyes w Former Rams QB Jim Everett & Bob Rose the NFC West | South 111517.